It was the tragic story of the homeless father of his best friend who died of hypothermia on the street that led to the design of the first Sheltersuit in 2014. 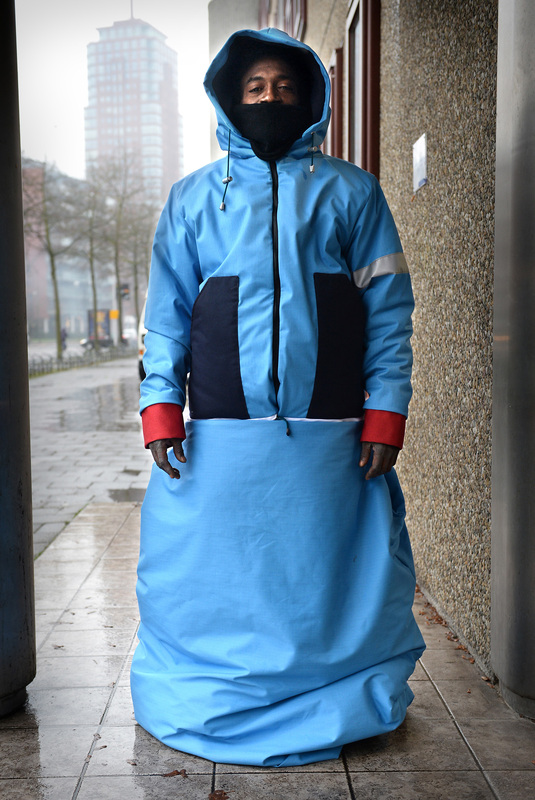 Fashion designer Bas Timmer still manufactures this famous combination of a coat, a sleeping bag, and a storage bag that makes it possible to survive in harsh weather conditions. 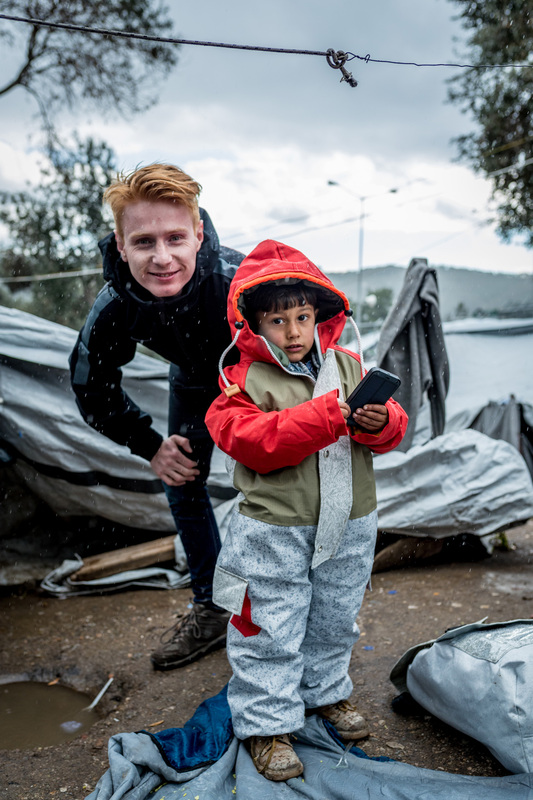 Dutch ‘humanitarian startup’ Sheltersuit Foundation has undergone unprecedented development. Timmer’s very ambitious life goal: ‘Keeping the whole world warm. I still have plenty of time to succeed; I am only 27 years old’, he says. ‘It’s weird that we have a gigantic textile industry and every day millions of garments disappear into the incinerator, but we cannot even keep people warm. The fact that we cannot protect human lives is a world upside down’, activist Timmer rightly says. The entrepreneur and designer set up the first fashion brand in the world that only has one goal: to keep everyone warm. With Sheltersuit Foundation, which is committed to keeping homeless people and refugees sleeping out in the cold warm, Timmer wants to create global awareness for homelessness. He also hopes that we will change to an economic system in which the rich provide better care for the poor. From the design world to the ‘real’ world, the Scheltersuit Foundation is now finding its way across the rest of the planet. In the Netherlands, 1300 Sheltersuits have now been distributed to homeless people. Around 1100 Sheltersuits specifically produced for children were recently distributed in refugee camps on Lesbos. The operation, in collaboration with Movement on the Ground by Johnny de Mol and the WakaWaka Foundation, raised 400,000 euros through crowdfunding. Earlier, Timmer handed out one hundred Sheltersuits to homeless people in Milan during the Salone del Mobile. He won the Public Choice Award at the Dutch Design Awards 2017 and the German Design Award 2018. ‘It proves that we are not just a fun little project’, says the designer about the appreciation. Together with designers such as Dave Hakkens and Boyan Slat, Bas Timmer belongs to a generation of young designers who want to change the world and make it more beautiful with their convincing ideas, passionate drive, and innovative solutions for the future. Timmer does this by designing a durable and free sleeping bag that protects homeless people from the cold. But there is much more than that. Four years later, his startup broadened and professionalised. The Sheltersuit Foundation is located in an industrial multi-company building in Enschede, where Sheltersuits are made from upcycled and recycled materials from companies in the social clothing factory. The team, including former refugees, is led by confection specialist Ahmad Shasho, status holder from Syria. Nineteen people who began as volunteers now have permanent work; the Foundation counts 72 employees in total. We offer people not only work, but also good working conditions, self-esteem, enjoyment, and the motivation to make something for people whose lives are even harder’, says Timmer. In order to further broaden its activities, the foundation has launched a spin-off: the Sheltersuit Factory. In this social clothing factory, fashion is created with responsible business ethics by clothing professionals who have fled from war zones, interns, volunteers, and people ‘with a distance to the job market’. More commercial apparel is being produced successfully for fashion designers, companies, and other organisations, including custom clothing, bags, and promotional gifts. The professionals provide guidance and training to increase the employees’ chances of a paid job at other companies. The proceeds of the Sheltersuit Factory contribute to the goal of increasing the employees on the payroll and to the production of the famous Sheltersuits that will be sent to places where they are most needed.